This year’s run of salmon in the most closely monitored river in Argyll is on course to be the lowest on record, according to Argyll District Salmon Fishery Board (ADSFB). The salmon count, which takes place on a daily basis on the River Awe, has hit an all-time low after 30 weeks of the season. The numbers are collected and independently verified by a fish ‘lift and counter’ system in the dam. Further evidence comes from rod-caught salmon in the river and is recorded by the ADSFB. Last year’s count recorded a total of 807 fish which was only slightly above the all-time lowest number. This year it is running at only one-third of the 2016 count. If this continues the final total may struggle to reach 400, according to the ADSFB. This would be the lowest count of returning salmon to the Awe since records began in 1965. The Awe is a short river, draining Scotland’s longest loch, Loch Awe, with a hydro-electric dam at its head. The flow regime is such that fish can run the river any day of the year and almost all the fish are destined for the headwaters, so there is a full river count which is almost unaffected by the weather. Roger Brook, chairman of the Argyll District Salmon Fishery Board, said: ‘The Scottish Government has promoted the continued expansion of the salmon aquaculture industry while refusing to implement adequate control on the siting of farms and the levels of sea lice on the farms. 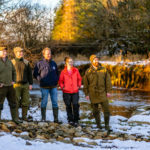 Andrew Graham-Stewart, director of Salmon and Trout Conservation Scotland, said: ‘Since the arrival of intensive salmon farming, numbers of mature west Highland sea trout have crashed. In an attempt to quantify the effect of salmon aquaculture, a comparison can be made between salmon catches on the east coast of Scotland and the West Coast between the Mull of Kintyre and Ardnamurchan Point. Between 1970 and 2014, rod catches of salmon on the East Coast increased by almost 40 per cent. Over the same period, rod catches in the south-west Highlands declined by 50 per cent. Juvenile salmon migrating from rivers in the south-west Highlands swim close to salmon farms before they reach the open sea. Another major river in the south-west Highlands is the Lochy, which enters the sea by Fort William. The published rod catch of salmon to the end of July was 33, summed up by the river’s management as ‘the worst start in recent times’. The catch to the end of July was 27 per cent of the five-year average for the same period. 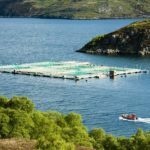 A Scottish Government spokesperson said: ‘We recognise that a number of factors may be having an impact on wild salmon stocks, including the activity of aquaculture. 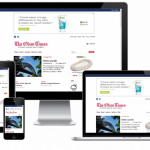 ‘This can result in elevated numbers of sea lice in open water, and hence may increase the infestation potential on wild salmon. In March the Scottish Government and its agencies set out how it will work with the sector and others with a direct interest to operate a policy and regulatory framework that enables sustainable growth while maintaining the right balance across economic, environmental and social responsibilities.